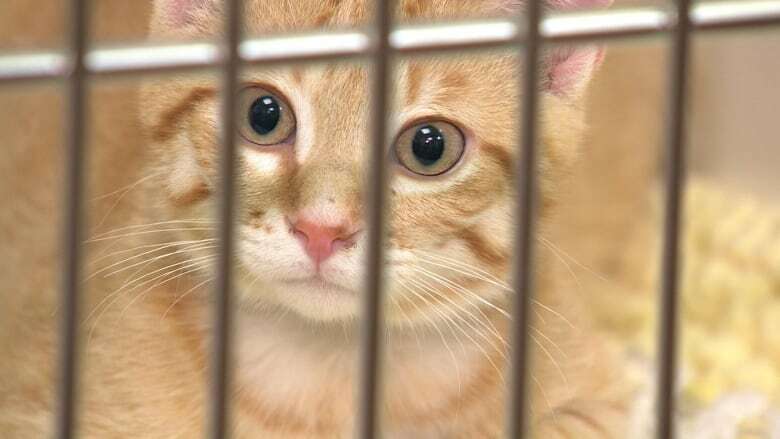 The Edmonton Humane Society has launched a third-party investigation into an incident where three cats were left inside a transfer vehicle for 22 days this spring. Kim Krushell, a former city councillor who is now the president of a tech company, volunteered to oversee the investigation. She'll be responsible for ensuring the investigation is fair, thorough and transparent, the humane society said in a news release Friday. On June 4, the humane society disclosed on Facebook that a team that was transporting animals to the humane society shelter accidentally left three cats inside a vehicle on March 27. When they were discovered 22 days later, the cats were dehydrated, hungry and had minor urine burns on their paws. They suffered no major injuries or illnesses. The humane society said it conducted a review of the team members who were involved, as well as its internal procedures, to make sure a similar accident doesn't happen again. On June 7, the humane society issued another statement on Facebook, explaining that it had heard concerns from the public about the need for "an impartial body" to investigate. "We are open to an investigation," the statement said. Krushell on Friday said the humane society's decision to hire third-party investigators is a positive step forward for the shelter. "This is an extra step that they did not have to take that demonstrates that they want to get to the bottom of everything that happened," Krushell told CBC News. Investigators are expected to make recommendations to improve animal safety and staff practices, EHS said in the release. The animal shelter does not currently have a governing body to conduct an investigation, so EHS asked a private investigative firm to look into the incident. Firm employees will conduct interviews and analyze evidence. Krushell will act as the middleman between the investigation company and the shelter. "The investigators will not be reporting to the humane society, they'll be reporting to me," Krushell said. "That ensures that the process is fair and open." Krushell said she was approached for the job because of her nine years of experience on city council. "They needed somebody … who had the skill set to be able to do an independent investigation and ensure that it's a fair and public process. And I have done that in the past," she said. "I mean, I've dealt with some pretty controversial issues when I was on council." In Friday's news release, society CEO Miranda Jordan-Smith said the organization is "extremely remorseful" about the incident. "While incidents like this are rare, we need to learn from mistakes," she stated. The findings of the investigation are expected to be released later this summer.